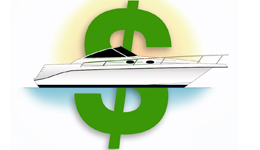 ALEXANDRIA, Va. -- Recreational boat owners who paid state sales taxes on a boat purchase, or those who secured a loan to finance a boat, may have some tax deductions coming to them when filing their 2010 federal income tax return, says a national boat owners group, BoatUS. For boat owners who paid substantial state sales taxes on a new or used boat purchase last year, the Tax Extenders Act of 2008 continues to offer a federal tax deduction for state sales taxes. Boaters must choose either the state sales tax deduction or state income tax deduction on their federal tax return — you cannot take both. In addition, to take the state sales tax deduction, the sales tax on a boat purchase must be applied at the same tax rate as the state’s general sales tax. In order to claim the sales tax deduction, tax returns must be itemized. State sales taxes are entered on IRS form Schedule A line 5b. For more details on the mortgage deduction on boats that qualify, go to www.IRS.gov and download Publication 936 or the Fact Sheets. For state tax deduction information download Publication 600 which also includes state-by-state tax tables. BoatUS – Boat Owners Association of The United States – is the nation’s leading advocate for recreational boaters providing over half a million members with government representation, programs and money saving-services. For membership information visit www.BoatUS.com or call 800-395-2628.